Green Heart Enterprises partnered with Delta TechOps, a division of Delta Airlines, on yet another construction project focused on sound dampening. Delta TechOps provides full-service aviation maintenance to Delta and other operators. 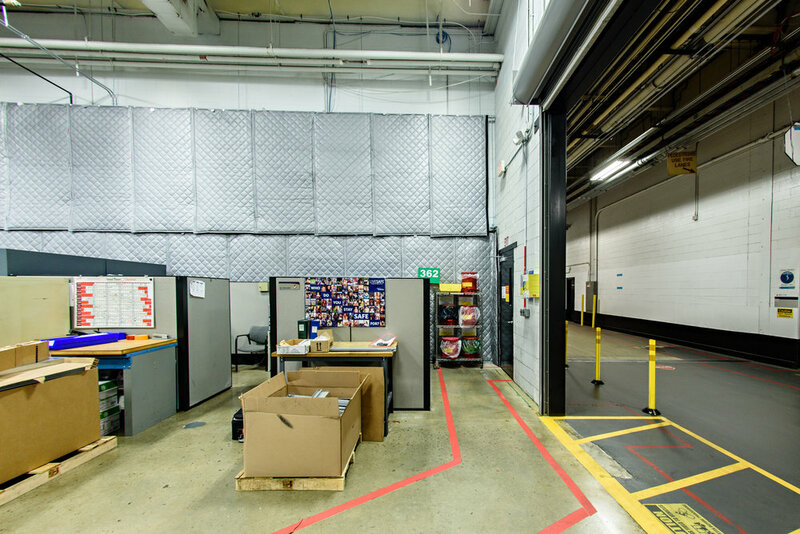 The scope of this project included sound dampening for back shop and engine bays as well as material management offices. Although Delta TechOps facilities often work on related airframe maintenance, we were tasked with reducing the mechanical and equipment noise as well as reverberation to allow for a better work environment for everyone. The hard, reverberant surfaces that are prevalent in facilities like Delta TechOps reflect noise around the space making for a very loud building. The first step in the acoustical treatment was to measure the amount of sound and reverberation to better gauge what was needed to effectively minimize sound. Once we determined what was needed, we got to work soundproofing the walls and ceiling. We used sound blankets to absorb noise and diminish the noise transmitted throughout the walls and ducts.